I’m very proud that a track from my new THEO album is on the latest Progstravaganza compilation from Prog Sphere. 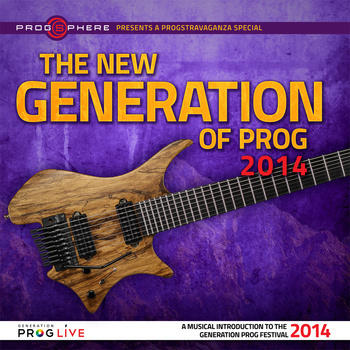 The compilation is entitled “The New Generation Of Prog 2014” and features some heavyweights of the new breed including HAKEN and Cea Serin. Click the image above to check it out. The track is called Idle Worship. Then go to my PledgeMusic campaign to pre-order the new album. We’ve got about three weeks left are we’re just over 50% to the goal. There are still some great items available including three Hammond Leslie pedals and more. This entry was posted in Solo works, THEO by Jimmy. Bookmark the permalink. Hey Jim. Just wanted to tell you that I love what I’ve heard of Theo. Sadly, Veterinary bills and taxes have me broke. I’m sorry, man. Talent like yours deserves to be rewarded.